On April 25th, a magnitude 7.8 earthquake rocked Nepal leaving many homeless. 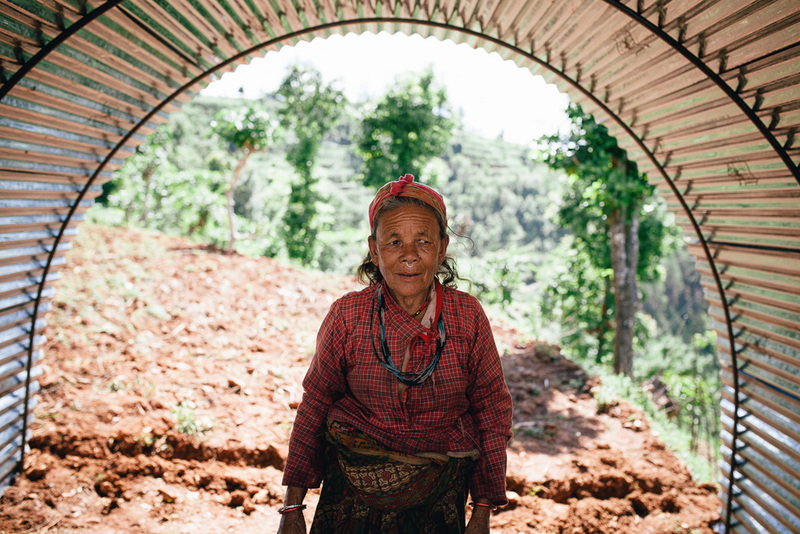 In the months following the quake, we worked with survivors to build durable shelters that keep families warm, dry, and safe from afttershocks. 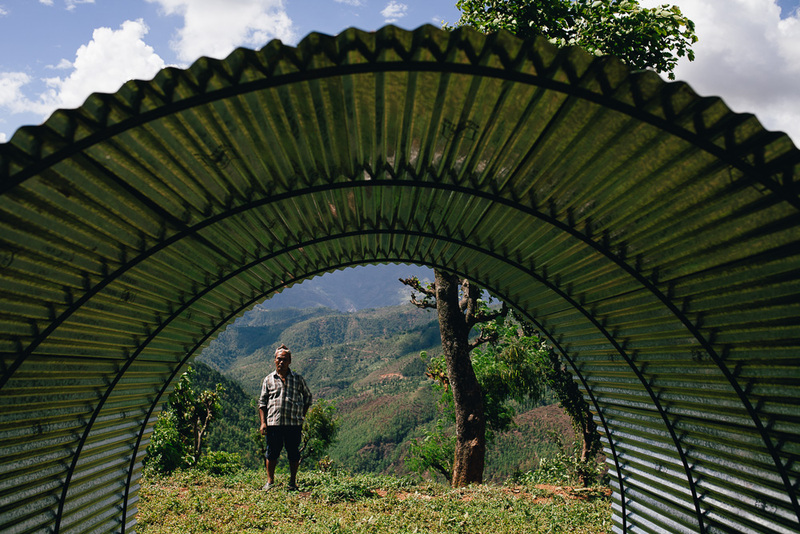 We designed the Portal Shelter and in partnership with organizations and individuals across Nepal and the globe, we delivered over 5,000 shelters to those in need. 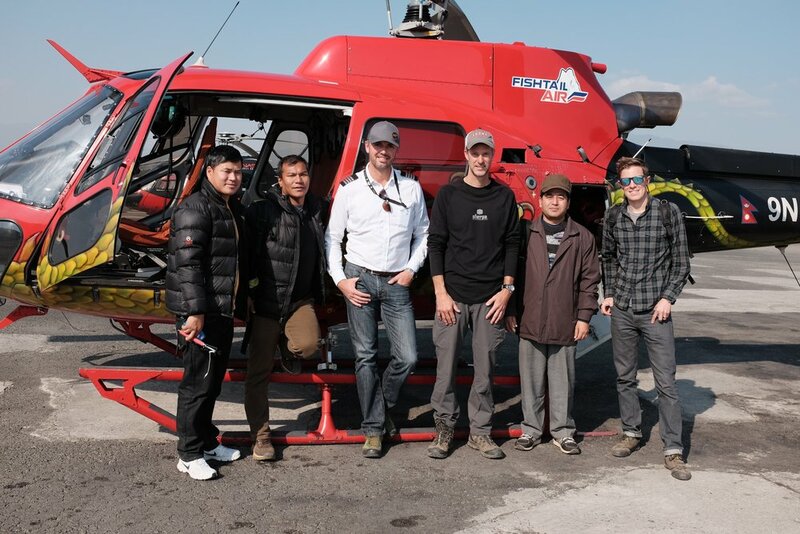 THANK YOU TO EVERYONE WHO SUPPORTED US (& NEPAL) IN THE AFTERMATH OF THIS DEVASTATING EVENT. The funds for these shelters was donated directly to Portal. We prepared the shelter kits and distributed them in locations where our staff had personal connections and could best determine the need. The funds for these shelters were raised by local and international organizations. These groups found villages with demonstrated needs and came to us. Portal provided shelter kits, training, and tools to empower organizations to make a difference. WHILE NGO/INGO RESPONSE TO THE EARTHQUAKE HAS BEEN MASSIVE, MUCH OF THE AID HAS COME IN THE FORM OF TARPAULINS. TARPS ARE USEFUL IN THE SHORT TERM, BUT THEY WILL NOT KEEP OUT THE MONSOON RAINS AND WINDS FOR LONG. COMBINED, PORTAL AND OTHER NGO SHELTER DONATIONS HAVE COVERED ONLY 15% OF THE DEMONSTRATED NEED FOR SHELTER IN NEPAL. 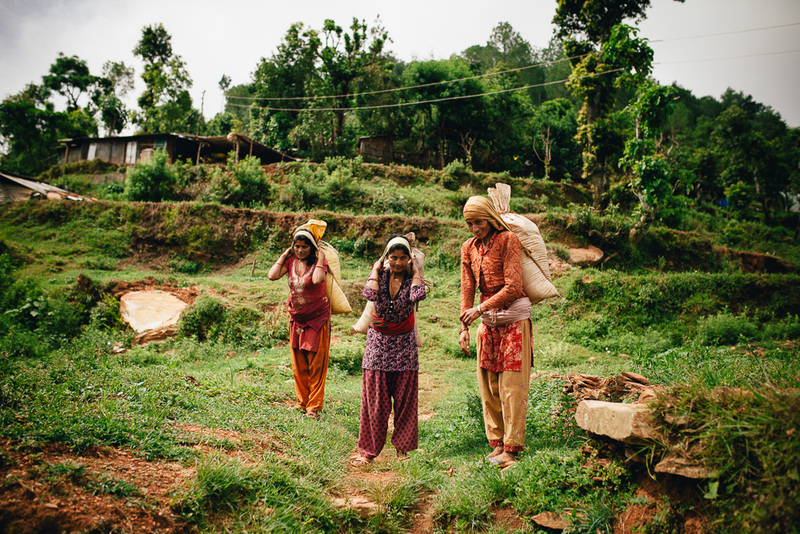 THIS IS A START, BUT THERE IS STILL A LONG ROAD AHEAD IN THE JOURNEY TO REBUILD NEPAL. PLEASE CONTINUE TO SUPPORT NEPAL AS IT REBUILDS IN THE YEARS TO COME. "PRELIMINARY ASSESSMENT FINDINGS INDICATE THAT SHELTER IS THE PRIMARY OVERALL HUMANITARIAN NEED." Each star represents the location of a Portal Shelter delivery. Over 40 towns and municipalities have received shelters across the regions worst effected by the earthquake. STILL WANTING TO BUILD SHELTERS? 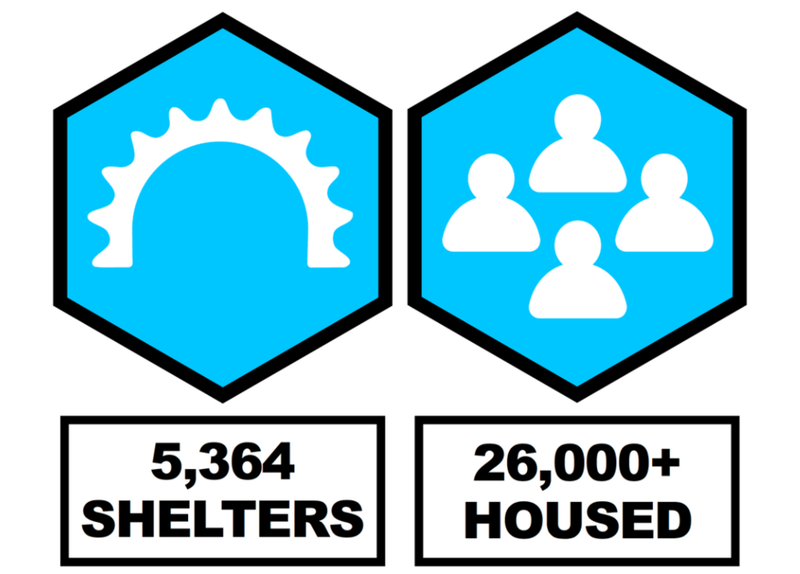 The Portal Shelters project touched thousands of lives. See the impact they have had below. Bhotsipa Teendhara is a village in the Sindhupalchok region of Nepal. Only 75km from the capital, it takes over 5 hours for a truck to cross the beaten roads from Kathmandu. The devastating earthquake took the lives of 22 villagers. It left the rest of the community both emotionally and in some cases physically scarred. Finding reassurance in numbers, all 700 villagers gathered in a field the first night to sleep. They strung together tarpaulin sheets for shelter that were quickly carried away by the wind, leaving the villagers to face the rain, along with everything else. Maya Tamang is a corn farmer. Before the earthquake, she lived with her husband and two sons in their ancestral family house - a home that has been passed down through the family for generations. Patali Taman usually spends the day with her two young grandsons. During the earthquake, their safety was her first thought. When the shaking started she scooped them up, one in each arm, and tried to run out of the house. She was hit by falling rubble and a large rock struck her left knee, pinning her to the ground. My house was dancing and I was dancing also." Thankfully, Patali and her her grandsons all survived the incident. Before receiving a Portal Shelter, she had been living in a small shelter built using rubble and a tin sheet. Tek Bahadur Tamang works at the local health post and is a pastor, earning enormous trust and respect from the 700 members of his village community. He was chosen to represent his village in the organisation and distribution of Portal Shelters. To make these difficult decisions, he prioritized shelters for those in the poorest financial situations - those without supporting family members or property in Kathmandu or other cities. In the long term, Pastor Tamang worries for the emotional well being of his community. He says it will take twenty years for the community to build itself back to where it was before the earthquake, and that people are finding it difficult to remain hopeful. He does, however, see the excitement that the Portal Shelters have brought to the village - people here know the value of staying dry through the monsoon, and that assurance is a welcome relief. This man showed us what remained of his house. Luckily, no one in his family was harmed when the roof caved in - everyone managed to run outside in time. Though part of the house remains standing, it is too dangerous to live in. He uses the space to store grass for his cow and two goats. Until receiving a Portal Shelter, the family lived in a makeshift shack made of rubble and tarpaulin, similar to the majority of people in the village. Sipatar is a small village of about 200 residents in the Sindhupalchok region of Nepal. The majority of the 43 families are Christian in religious affiliation, which is extremely high considering that only 1.5% of Nepal’s overall population identify as Christian. When the earthquake struck, the majority of the village was attending Saturday morning service. Though emotionally distraught, the congregation remained safe in the well-built church, while houses across the village shook to rubble. Amazingly, and thanks to the sturdiness of the church building, there were zero earthquake casualties in Sipatar. The force of the earthquake disabled phone networks across Nepal in the wake of the April 25th disaster. 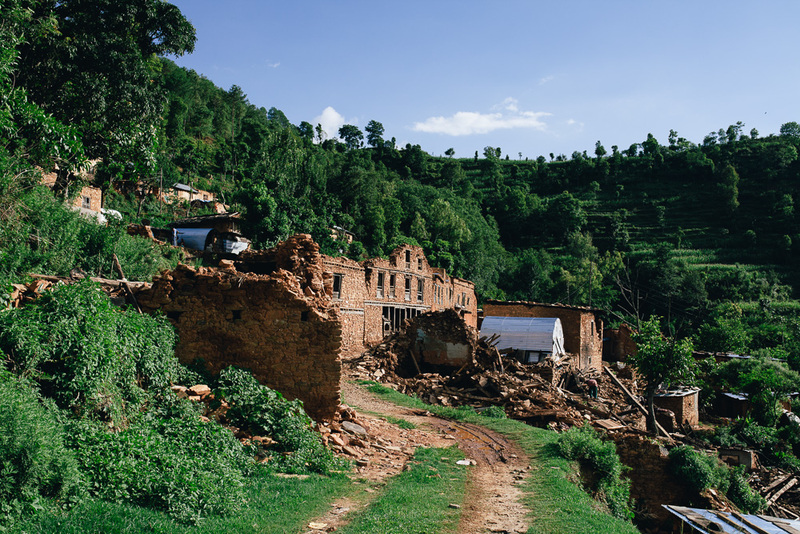 For remote villages like Sipitar in Sindhupalchowk, this meant that access to information and news about the destruction was very hard to come by - villagers could assess the damage based only on what they saw around them. Many individuals simply assumed that this shaking must have been felt by the whole world, and that cities from New York to London were in ruins. “When the earthquake came I was in church. When the shaking stopped we saw all the houses totally destroyed. It is a new experience, to see everything destroyed like that. Portal has stopped making shelter kits, but you don't have to stop building shelters! Our shelter design is open-sourced, meaning that you can find all the information right here on how to construct them yourself. These instructions will guide you through every step of the process, from sourcing correct materials to putting them in the ground. The materials for each Portal Shelter cost approximately $110 and houses a family of 5. It provides a safe place to live allowing each family time to thoughtfully rebuild. All the materials used to construct Portal Shelters can be reused to build more permanent homes. The frames can be used to create greenhouses for food and the metal sheets for roofing. EVERYTHING THAT YOU NEED TO KNOW TO GET YOUR OWN BUILDING SUPPLIES AND CONSTRUCTION INSTRUCTIONS! Our first Portal Shelter installations! Q: How much does a shelter cost? A: The materials for shelter kit cost approximately 11,000 rupee. Q: What materials do I need to build a shelter? A: To build a shelter you will need: 8 anchor rods, 4 arched pipes, 9 metal roofing pieces, and 8 metal wires to tie shelter down. You will have to build your own shelter with these supplies. Q: Can you train us for free? A: Yes. Full training instructions can be found in the video and information above. Q: How should I transport my shelter materials? A: A delivery truck can be hired to deliver your shelters. We recommend a Mahindra Mini Truck with a 6' x 10' bed. Rates from Kathmandu vary and our customers have been paying 6k to Banepa, 12k to Sindhupalchowk and 14,000 to Dhading. Q: How many shelter kits can fit inside a truck? A: An average delivery truck can hold 25 shelters in one load. Q: What tools do I need? A: 1 hammer or heavy object, 1 tin cutter, 1 pair of pliers, 1 measuring tape, 1 thin pipe or bar, and gloves (optional). Q: How do I build a shelter after I have all my supplies? Q: How do I build a pipe bender? Q: How is it strengthened against wind load? A: We have had no reported problems with wind. The shelter’s rounded design helps to prevent issues with strong winds and end- walls strengthen the shelter from side-to-side forces. Q: Will the ground become wet if the water level around the shelter increases? A: Yes, this is likely. We recommend shelter owners place brick or other flooring to raise the level of the shelter floor. Alternatively, owners can dig small trenches outside the shelter to direct water away from the shelter. Q: How much do the materials for one shelter weigh? Q: Are the shelters going to be too hot in summer? A: We recommend that shelter owners maintain adequate ventilation to keep the shelters cool. We find them to be much cooler than standing in the direct sun or a tent. Q: What about lighting and ventilation arrangements? A: Both are up to shelter owners. While some shelter owners build windows into sidewalls, others leave cracks in their bamboo end walls. Q: Can you come to our village and give us shelters? A: Unfortunately, we are no longer producing or distributing shelters ourselves. However, we encourage you to use our instructions to build your own shelters. Q: How habitable is the shelter is hot summer or cold winter ? A: Compared to a tent or tarp, the shelter is quite habitable. However, it must be kept in mind that these are transitional structures and are not intended as a permanent housing solution. Q: Will it cause Carbon Monoxide poisoning if a wooden heater is used inside the closed shelter, especially during winter ? A: Adequate ventilation is neccesary. Most people in remote areas have been cooking inside their homes for years and understand how to ventilate their homes safely. At Portal, our vision is to transform lives and communities by creating pathways out of poverty. 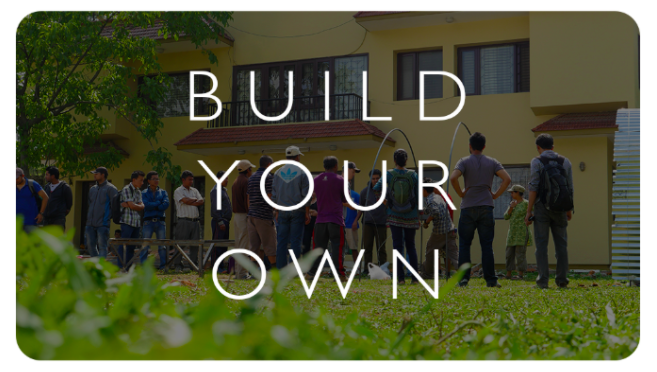 Right now in Nepal, the first step on that pathway is a home. These are affordable, secure, reusable homes that will shelter a family for several months while they rebuild their lives.